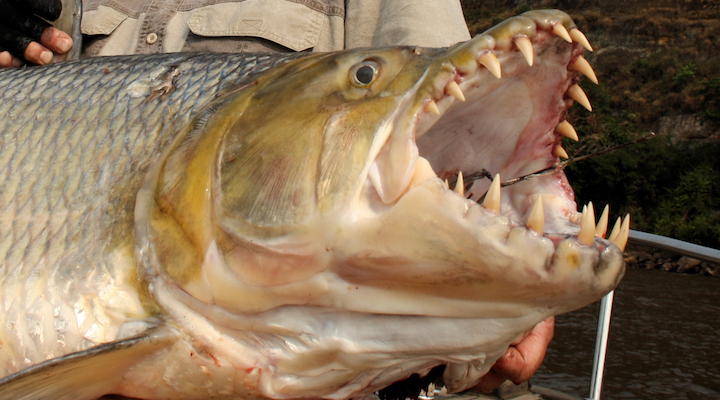 When you think of a fish, you probably don’t visualize a gap-toothed grin. Odds are you picture a pursed pair of lips swimming in an aquarium. So do fish have teeth under their puckered pouts? All fish have teeth. Specific types of swimmers—like goldfish—hide their pearly whites near the back of their throats. Similar to shark teeth, goldfish lose and replace teeth throughout their lifetime. Sheepshead teeth look like just like ours—at least at first glance. They have 2 rows of molars in their lower jaws and 3 rows in their upper jaws. A sheepshead also has incisors at the front of the jaw and grinding teeth in the back of their jaw to expertly pulverize prey. And sheepshead fish steal more than our smiles—they are notorious for stealing bait. 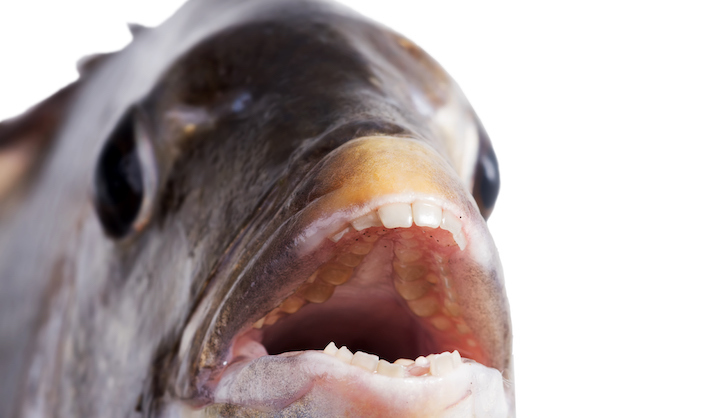 A relative of the piranha, pacu teeth are much more square than their biting brothers. 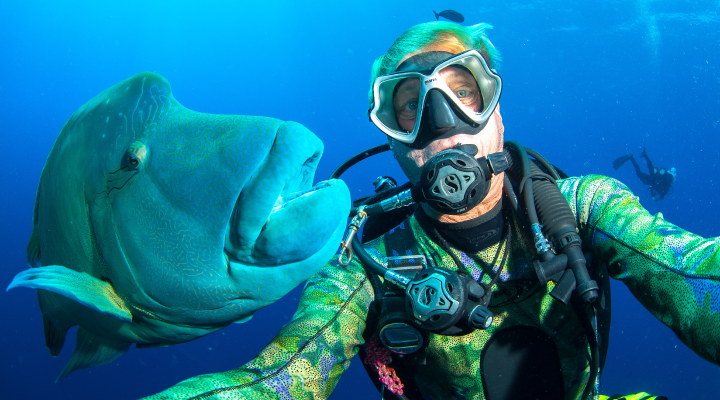 Their human-like chompers are due to their diet—pacu fish are omnivores and prefer to eat vegetables. With 32 sword-shaped teeth, each approximately an inch long, you wouldn’t want to start a fight with this fish. This 110-pound predator swims in turbulent water all throughout the Congo. This small fish has big teeth. In addition to its light-producing protrusion, the dragonfish has sharp, fang-like teeth. Their large chompers allow dragonfish to grab and demolish their prey in dark and deep waters.